Lizette Botha obtained a Human Movement Science degree at Pretoria University. She was a provincial athlete and hockey player and completed three Comrades Marathons. Lizette has spent more than 75 000 hours in the water, having taught more than 8 000 babies to float and 17 000 children to swim during her 29-year coaching career. She is known as SA’s top "baby floating specialist", which is why in 2015 she was invited to Monaco by H.S.H. Princess Charlene of Monaco and her husband, H.S.H. Prince Albert II, to assist them with a Self-Rescue Water Safety Program for their twin babies. 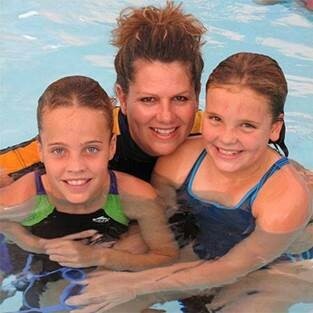 The Self-Rescue Water Safety Method that Lizette follows is a combination of the Les Bébés Amphibies International Method and her own method developed over the past 28 years as a Baby Floating Instructor. Jean Fouace, Founder of Les Bébés Amphibies International – Switzerland and Lizette founded Amphibies Babies Africa. In very basic terms the method entails the teaching and stimulating of an infant to float independently on his/her back (fully clothed) for a certain period (15 minutes), giving an infant a reasonable chance of survival when help is not immediately nearby. It is all about controlling their breath for short periods of time when submerging in water. She teaches the infants on a one-on-one basis allowing the parent in the water with the infant, upon request. Infants from 9-24 months who have completed and mastered the ability to float on their backs can now move on to the next phase, namely Learn-to-Swim (Foundation Phase). Then there is the Intermediary Phase (stroke establishment) followed by Advance Phase (preparation for competitive swimming). Kiddies Aqua Swimming Academy presents lessons for children with Special Needs. With specialized, individual focused attention from the instructors these kids learn much faster than in larger groups. They develop a feeling of accomplishment when mastering certain strokes in the water. An excellent example of this is ex-swimmers (Jan-Herman Els) who currently holds 11 world records in his age group. He is currently the SA Champion in several events and represents his country regularly at international level. Adults who wish to learn to swim are also welcome at the Academy, or they may want specialized basic stroke and stroke correction. The ability to swim equips the learner with a life-skill. Currently the SA U17 and SA U19 Football ladies are having swimming lessons at the Academy. They have started other projects which includes teaching domestic staff, nannies and gardeners to swim. They also have a project running in Soshanguve where they teach approximately 200 pre-school children to swim.